This one year, full-time, BA (Hons) Hospitality Management (Top Up) degree is for those students who have successfully completed the Foundation Degree in either Hospitality Management or Hospitality Management (Events Management) at the University Centre at Blackburn College. You will study subjects such as: Implementing Strategy and Managing Change, Strategic Market and Product Development in the Hospitality Industry and The Service Encounter, Hospitality Human Resource Management as well as completing a dissertation. Students progressing from FdA Hospitality Management (Events Management) will be able to specialise in Events Management within the dissertation module. Students studying the BA (Hons) Top Up degree in Hospitality Management will be given excellent tutorial support which will guide the student through the programme of study. The British Hospitality Association recognises the need for formal qualifications within hospitality management and as such students can use this resource when studying for the BA (Hons) Top Up degree in Hospitality Management. This support, combined with tutorial support through lectures, seminars, guest lectures, behind the scenes visits to hospitality establishments and residential stays, students will gain experience in a variety of specialisms within the industry. This one year Top-Up degree has a broad syllabus encompassing a mixture of practical and theoretical modules in the areas of hospitality management, hospitality operations and conference and event management. This programme is designed to provide graduates with the range of skills and knowledge required for management positions in the largest sector of employment in the UK. These skills enable graduates to develop into senior managers in a wide range of areas including employment in hotels, restaurants, licensed retail management, personnel and marketing in hospitality. The top up programme involves completing a one year full-time programme. In order to complete the award of BA (Hons) Hospitality Management, students need to successfully complete 5 modules (120 credits). Students will study a dissertation modulew which is a year long module. Download the Programme Specification for BA (Hons) Hospitality Management (Top Up). The Programme Specification will give you further information about the course structure, learning outcomes and detailed information about the assessment you can expect during the course. In order to join the BA (Hons) Hospitality Management (Top Up) programme you will need to have successfully completed the Hospitality Management Foundation Degree FdA or the Hospitality Management (with Events Management) Foundation Degree FdA. If you have received less than a Merit grade overall in your Foundation Degree you will be required to attend a guidance interview first to ensure you are fully prepared for the Top Up programme. Additional preparation for study at the Top Up programme may be required. Upon successful completion of the course, students can expect to move into Senior Management roles within Hotel and Catering Management, Event and Conference Management, Local Government, Restaurant Management, Hospitality Marketing or Further study to Master level. Graduates have also gone on to join Graduate Management Programmes and past graduates are currently working as the Head of E-Commerce for Karen Millen and as an Operations Manager at Marriott Hotels. A recent graduate joined the Graduate Management Team with Premier Inn Hotels - others moved into Nightclub Management, Live Events Management and gained personal licences for work in the pub sector. Catering managers (also known as food service managers) work with chefs and catering assistants to plan and organise the food and drink service of an organisation or business. 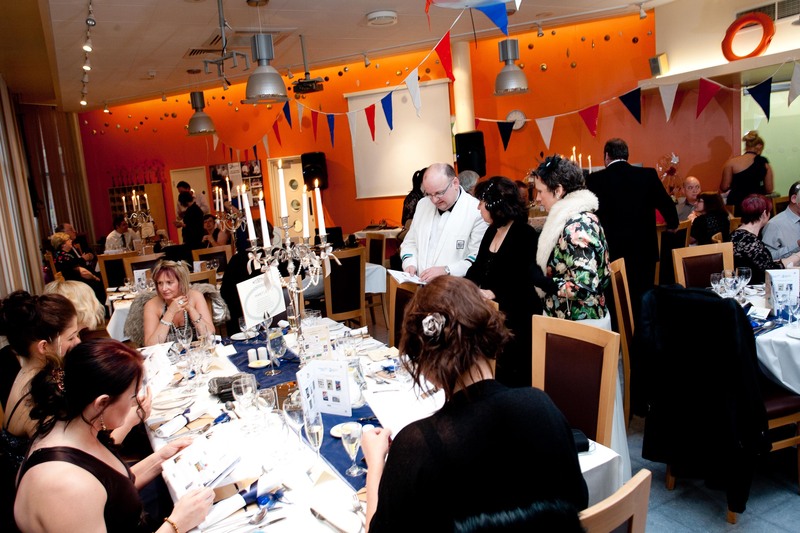 As a catering manager, you would make sure that the quality of the food is of a high standard. You would also be responsible for meeting financial targets. To do this job, you will need to be able to lead and manage staff. You will also need strong customer service skills, and be comfortable working with figures. If you are passionate about food, and want a varied working environment, then this role could suit you well. To apply for a trainee manager job, you will usually need a good standard of general education, and some relevant experience. Restaurant managers are responsible for making sure that their restaurants run efficiently, and that customers are satisfied with the quality of food and service they receive. If good food and great service are important to you, this is a role that could suit you well. To do this job, you will need the ability to manage staff. You will also need strong customer service skills, and be comfortable working with figures. To apply for a trainee manager job, you will usually need a good standard of general education and some relevant work experience. If you have good motivational skills, enjoy leading a team and always put the customer first, then this could be the right job for you. You would need to be well organised, have excellent communications skills and be able to make decisions. Qualifications in customer service and previous experience of supervising staff, and dealing with customers face-to-face or over the phone would also be helpful. You could work as a customer services manager in many areas from finance to retail and from health to telecommunications. As a kitchen manager or head chef, you would use your knowledge and experience of professional cooking to lead a team of staff and efficiently run a kitchen. In this job you will need good leadership skills. You will need to work quickly and calmly when under pressure. You will also need to control a budget. If you are interested in food and you can lead a team in an organised way, this job could be perfect for you. To get into this job you will need experience in a professional kitchen, running your own section. You can work your way up from kitchen assistant to trainee chef, then section chef and manager/head chef. You may also be able to get into this job through an Apprenticeship scheme. A wedding planner’s job is to help couples have the wedding they want. This could mean planning and organising the whole wedding from start to finish or just sorting out certain aspects of the day. If you enjoy meeting people and love organising things, this job could be perfect for you. Good communication skills and the ability the get on well with different kinds of people are something you will need in this job. You’ll also need to have good problem solving skills and be able to keep calm under pressure. There are no set qualifications to become a wedding planner. Some people move into wedding planning from working in events, hospitality or catering. Whatever your background it’s useful to have relevant experience. These organisers plan and run events such as trade shows. They also run exhibitions and conferences. If you love planning and organising this job could be perfect for you. To do this job you will need to be able to multi-task. You will need good communication and people skills. You’ll also need to be able to build good working relationships with all kinds of people. You could move into conference and exhibition organising from a range of jobs. Employers will look for relevant experience or strong skills such as organising, budget management and sales. In this job you will need good attention to detail. You’ll also need to follow strict health and safety, and food hygiene rules. Most new food scientists and technologists have an HND, foundation degree or degree in a subject such as food science, food studies or food technology. Another route into this career is to find work as a lab technician and study towards relevant qualifications. You may also be able to get into this job through an Apprenticeship scheme. As a marketing executive, you would promote your employer's products, services or ideas. If you love using your communication skills in a creative way, this could be the ideal job for you. You would need organisational skills to plan product launches, market research and public relations events. Using your confidence and creativity you would also market your products across TV, radio and the press. Most marketing executives get into this role through completing an HNC/HND or degree. Entry is also possible with relevant experience and professional qualifications. As a public relations officer, you would be responsible for managing an organisation’s image and reputation. If you like variety and challenge this job could be perfect for you. You will need to have excellent communication skills. You’ll also need to be good at managing your time and working with many different kinds of people. There are no set qualifications for this job, although many public relations officers will have a degree qualification. As a charity fundraiser you will work to increase the amount of donations made to the organisation you are working for. You’ll do this by contacting potential donors and coming up with new ideas to raise money. If you’ve got excellent communication skills and love the idea of supporting a charity, this could be a career that offers what you’re looking for. You’ll need creativity, drive and enthusiasm to motivate people to donate funds and to come up with new fundraising ideas. Excellent organisational skills will help you to plan successful events. Most employers will usually be more interested in your skills and commitment than your formal qualifications. Courses in Catering and Hospitality at University Centre at Blackburn College have been designed to enable Level 3 students on Catering and Hospitality courses to ‘seamlessly’ enter the programme – you will find what you are taught during your foundation degree builds on what you have already learnt. All degrees in this area are validated by Lancaster University. In addition to being ranked among the top 10 in the UK, Lancaster is also the leading university in the North West according to The Complete University Guide 2015. You can be sure that the Catering and Hospitality degree you will graduate with will help you progress in work and life. A range of trips and activities form part of the programme – these include ‘behind the scenes’ visits to a range of restaurants including Northcote on the edge of the Ribble Valley. 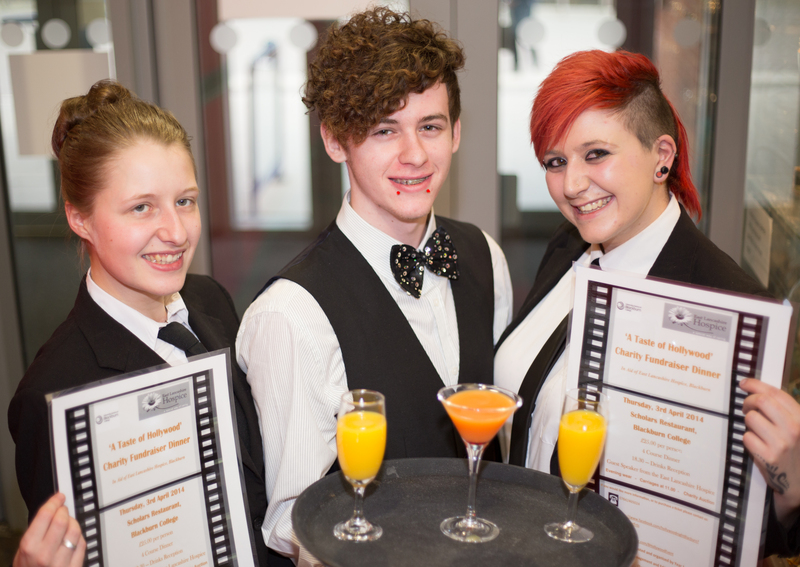 Hospitality students raise substantial amounts of money for charity. In previous years this has exceeded £2,000+ for organisations such as East Lancashire Hospice and Help for Heroes. 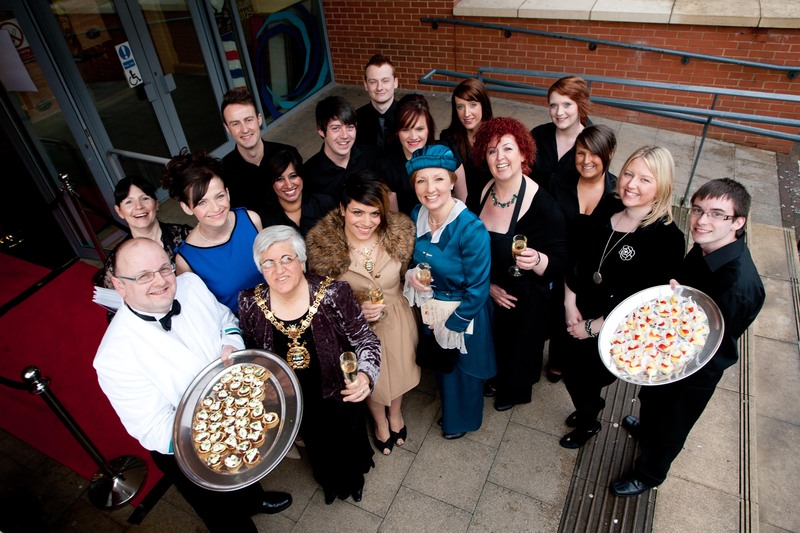 This photo was taken during one of the many events that our Hospitality students have arranged. You too can get involved and organise events like this! Our Hospitality Management programmes degrees – you will take an active part in a range of events that you’ll organise, manage, cater for and market. This will give you additional practical experience should you not currently be working in the catering and hospitality sector. An ‘Events’ pathway is available for students who wish to specialise in Events Management or get into careers such as Conference Management and our approach gives you valuable experience for your CV. You will also undertake a number of practical sessions using Scholars Restaurant (the College’s training restaurant) and it may be from there that you put on a range of events throughout your programme of study. This could include balls, themed dinners, charity nights, mini festivals and more!